Thank you for your interest in our wedding photography services. The photography packages listed below are intended merely as a guideline. 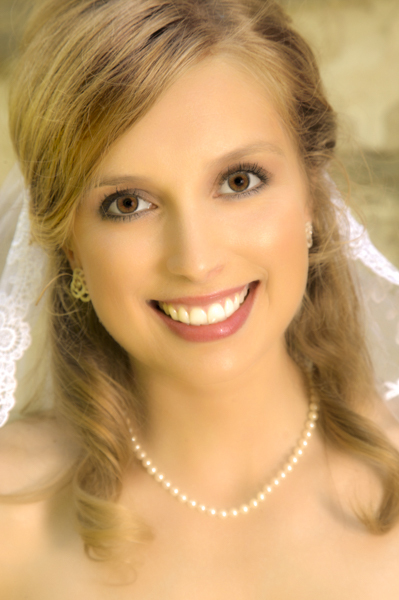 We are very flexible and always willing to custom-tailor our wedding photography package to your personal preferences. Call us to discuss your specific requirements. This is the no-frills, back-to-the-basics photography package for the cost-conscious couple. There is no album and/or prints included at this price, but there is no compromise in picture quality, either. The package includes up to 4 hours of on-location photography, capturing approximately as many as 200-300 images of which we select the best ones and supply them on disk. Up to 100 professionally processed color images. Approximately 5 photojournalistic style professionally processed black and white images. Reproduction Rights are assigned to you allowing you to make your own reprints and enlargements 1 year after the wedding. Custom online gallery included with the package. Price: Only $1,195 plus applicable taxes. Custom designed front cover featuring a stunning picture of the Bride and Groom, your wedding date and location. Approximately 100-120 professionally processed color images. Approximately 10 photojournalistic style professionally processed black and white images. Price: $1,695 plus applicable taxes. Approximately 120-150 professionally processed color images. Approximately 20 photojournalistic style professionally processed black and white images. Price: $2,495 plus applicable taxes. Custom designed front cover featuring a stunning picture of you and your Groom, your wedding date and location. This is additional to any package selected, if you wish to receive the high-resolution versions of the images that are suitable to enlarge and print immediately after the wedding. Please note that you will automatically receive a DVD 1 year after the wedding completely free of charge. This package is applicable only if you wish to print the images yourself less than 1 year after the wedding. Reproduction rights are assigned to you allowing you to make your own reprints and enlargements immediately after the wedding. Style: Depending on your personal tastes, our wedding photography packages may consist of traditional style images, casual style shots, or photojournalistic style pictures, in any combination of the three. The location is always your choice, be it your home, country club, museum, tropical beach, or mountain-top, to name but a few. 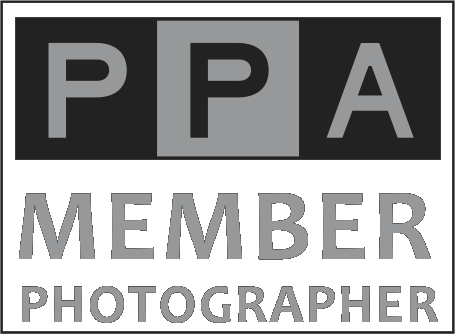 Photographer: Depending on the package and options you choose, our principal photographer, AndyJ, may be assisted by one or two additional, fully qualified and experienced assistant photographers. One of the worst things at a wedding is a photographer running around trying to get the right shots and ruining the moment. We will capture the planned special moments and the unexpected magical times without unduly interfering with the ceremony, the wedding party or the guests. Equipment: We are a fully digital shop. This means that we are able to capture your images at the level of detail that exceeds that provided by traditional film, allowing us to change film sensitivity in "mid-roll" and capture moments that otherwise would have been lost while changing film or camera bodies. Being fully digital also means that we are able to take advantage of the latest advances in software and digital picture-processing technology. We use the latest versions of professional Adobe tools to post-process the images we capture resulting in superb quality images that can be displayed on a variety of devices, as well as printed in high-resolution. We shoot the entire wedding on the highest resolution (21+ megapixels) Canon professional digital cameras and we carry redundant backup equipment so that we are never vulnerable to equipment failure. Lighting: For our premium packages we light even large interiors with professional location studio lighting. We carry enough lights and strobes to light the most demanding environments. Our lights are modified by umbrellas and soft boxes that diffuse the light and provide the soft, flattering look you will appreciate. Products: Each wedding photography package is supplied as an online album that showcases your images. Next to each picture in the album is the image number allowing you to make quick and easy orders for prints and enlargements. The images are available in high-resolution on DVD media one (1) year after the ceremony at nominal cost. Reproduction Rights: You get your images on DVD as noted above, plus - in case of premium packages - Limited Reproduction Rights along with your package. This is the equivalent of giving you the negatives. Please, note that very few wedding photography shops are willing to give you high-resolution images with reprint rights like we do. This allows you to make your own enlargements and copies of your wedding photography at any photo store of your choice at a fraction of the price it would cost you to have the photographer do it for you. Once you have the DVD, you are not tied to ordering your reprints or enlargements from us. We do offer a high quality online reprint and enlargement ordering service at very affordable rates. This service is recognized as one of the best in the industry and offers a variety of formats and substrates, such as regular prints in a just about any size, metal prints, canvas prints, wood reliefs, and more. Ordering Prints: Within 2 weeks after your wedding, during which we professionally, digitally process your images, you will be able to view them online and place your orders. This makes it very convenient for you, your family and friends to order physical prints. It also saves you considerable time, as you won't have to coordinate with everyone to find out who wants what in terms of reprints and enlargements: just send them to your dedicated wedding gallery and let them order the images they want. Albums. We have discovered that our brides all have very diverse personal tastes when it comes to the creation of their wedding albums. We do offer album design and printing as a separate, premium service, so that - if you want us to create your album - we are able to provide a full-srvice experience. Please contact us for styles and pricing. Prices: Please, note that we do not tend to compete on price. There are many, many other photographic services around that are willing to "do the job" for a seemingly much more attractive price. If you are willing to compromise on the quality of your wedding images, you may be better off with a photographer less obsessed with excellence and artistic expression. We believe that the wedding day is one of the most important days in anyone's life and that it deserves the utmost attention and care - and we act accordingly. While our services are certainly competitively priced, they should be considered premium by most accounts. You get what you pay for, as they say. Having said that, we are able to customize the offering to match almost any budget. The Magic: Once your wedding day is over it’s the photos that remain and tie those once in a lifetime memories together. We understand this better than most wedding photographers and take a unique approach to your wedding day, capturing it in a style that tells the personal story of the couple’s experience together. Payment & Terms: A deposit of 25% is required to book your wedding package. Dates will not be held or secured without payment of a deposit. Dates during the main wedding season (April - October) will often book at least a full year in advance. There is no guarantee how long a certain date will remain open. A payment of 50% of the remaining balance is due 30 days before the date of your wedding and the remaining balance is due on or before your wedding date. Sales Tax: Prices listed on this page do not include sales tax. Sales tax will be added to all purchases. Photography Coverage: When planning the amount of coverage for your wedding, "hours of photography" begins when the first photos are taken and continues for the entire time while the photographer is on site. Additional Coverage & Rehearsals: Additional hours of coverage on your wedding day may be purchased with any package at the rate of $80 per hour. Six hours is generally enough time to capture everything, from the bride getting ready to the reception, but if events are more spread out than normal, you might want to consider additional time. If you are interested in having your rehearsal photographed you should indicate this when you book your date so the time slot can be held open. Rehearsal coverage is generally $80 per hour if combined with a wedding package, plus any travel charges if applicable. Rates for additional full or part days are available upon consultation. All prices are subject to change and packages shown on this page may change at any time. Any price or package changes after you book your wedding will not affect your wedding. You are guaranteed all prices that are in effect at the time you book your wedding date and pay the initial deposit. Photo DVD/CD: The DVD that you receive 1 year after the wedding will include all of the pictures provided to you as printed proofs. All of the images provided to a client on CD may be reproduced, distributed, or printed by the client without restriction and without credit or additional payment to the photographer. The photographer may also use the images for promotional or advertising purposes. Photos on the DVD are high resolution (300 dpi) which is the most common resolution for commercial printing. Images will generally be sized the same as your proofs, either 4x6 (the most popular) or 4x5, (upon request). With Wedding Packages 3, 4, and 5 you will also be provided (upon your request) with up to 20 selected images in any size that you wish, up to 11x8.5. As all of this can be confusing if you are not familiar with digital images and printing, the best thing is to just explain what you want to do with the images and we will work out a solution to meet your needs. Black & White Prints: In general, any image can be printed in color or black and white. But the best black and white prints will result when the photographer knows in advance that certain images are intended for black and white printing. If you want your package to contain black and white or sepia toned prints just let us know in advance. Travel: We are always happy to travel to your chosen destination, worldwide. Charges for travel outside our normal area are added to your package price. All Wedding Photography Packages include travel within a 25-mile radius of Milwaukee, Wisconsin, as measured from the Marquette Interchange. Outside of the 25 mile radius we charge 40c per mile and $50 per hour of travel time. For overseas locations, including Caribbean Islands, Bahamas, Hawaii, or any other location of your choice, the client is responsible for all travel costs including, flights, accommodation, meals, local transport etc. Please, be aware that we carry a substantial amount of photographic gear and equipment that will also need to be transported. Creative Techniques: There are wide range of creative techniques that can be applied to your photographs, including subtle changes in color or toning, mixtures of black and white and color, and other artistic techniques. If you are searching for a certain "look" we can discuss the options available. There is generally no additional charge for creative techniques used with the wedding albums in packages 3, 4, and 5. Terms & Conditions: Please, note that up until the day you book your wedding, all terms and conditions described on this site are subject to change. Once you book your wedding, the prices and other terms are locked-in.